This tool imports the selected Excel data into the Autodesk® Revit® document. 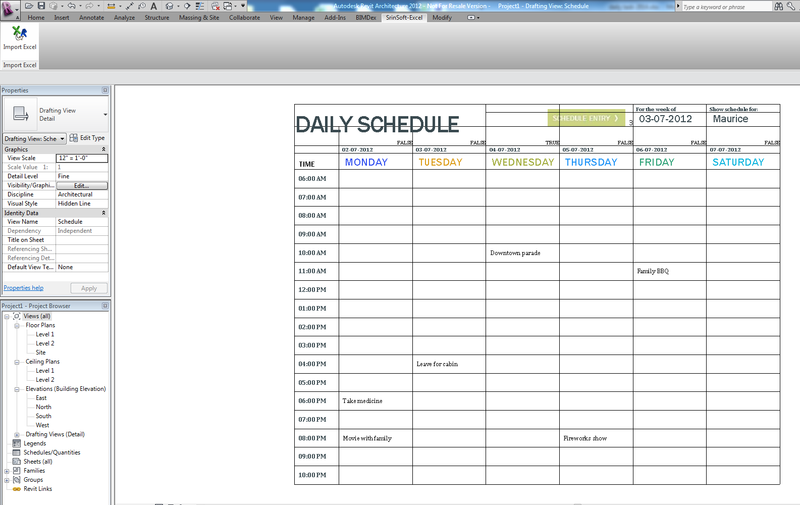 User can import Excel data into Revit project or a Revit Family document. 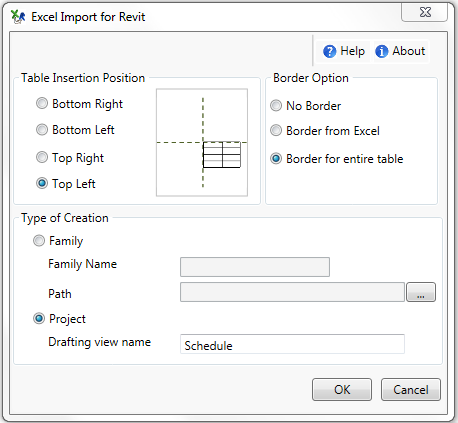 If the user needs the Excel data to be imported into a Revit project document Excel data will be imported into active Draft view with name given by the user. Else if user wants to import the data into a Revit family document, the data will be imported to the path specified by the user. 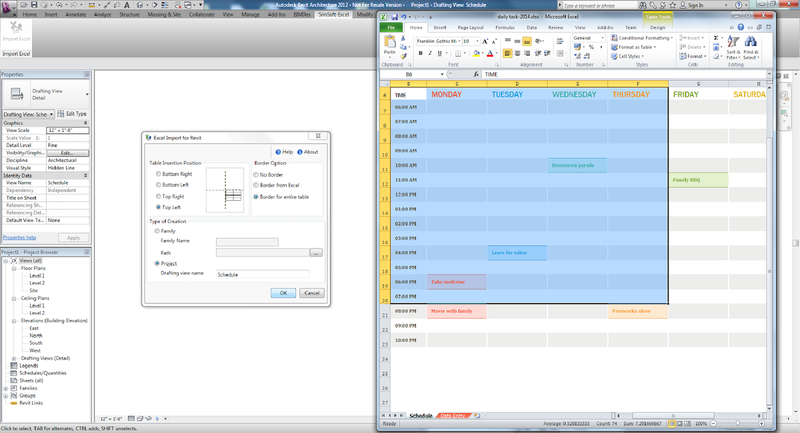 The user has an option to choose the position to insert the table and the border of the table. The ExcelPlus add-in is priced at USD 95.00 and is brought to you by SrinSoft Inc.
Autodesk Exchange Apps has pages for the paid version of ExcelPlus as well as a page for a 15-day free demo version.